In September 2018, the Making a Difference Foundation provided a financial grant to International Medical Relief (IMR) so six physicians could participate in a medical mission trip to Cambodia. 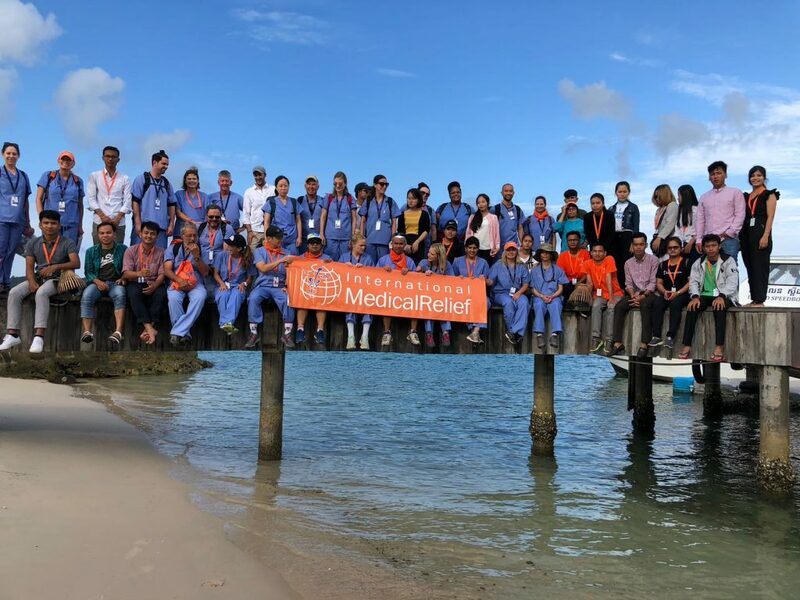 Partnering with IMR, the Song Saa Foundation, the Cambodian government, and CompHealth Locum Tenens, the physicians traveled to the remote Koh Rong Archipelago in the Thailand Gulf, to deliver much needed medical and dental care through daily mobile clinics. These six physicians joined a group of 25 other volunteers and medical professionals who worked tirelessly to provide basic healthcare in one of the most impoverished regions in the area. The team traveled each day to a different island in the archipelago and each team member carried medicines and medical supplies to help the local people. They saw over 500 patients and treated diseases that plague the area, like Dengue Fever and Malaria. In addition to providing care, the volunteers conducted community health classes to help implement and reiterate the importance of basic hygiene and sustainable healthcare. International Medical Relief plans to return to Cambodia in 2019, and we hope to provide continued support so more providers can attend this and other medical mission trips. Every provider goes on a medical mission for a different reason. Dr. Steve Garman, a Family Internal Medicine physician said, “At this stage of my life you ask yourself what life is all about. And here is an opportunity to go to another country to provide for people with skills that I take for granted”. One of the consistent reasons providers go on these trips is to get back to why they went into medicine. Dr. Cynthia Carbin, a Family Practice physician echoed this sentiment by saying, “It’s great to work with a team of people from all over the states who are dedicated to providing the best possible care to the Cambodian people”. Have you ever wanted to go on a medical mission trip but didn’t think you had the time and resources to find the perfect experience? The Making a Difference Foundation is committed to assisting healthcare providers reach their philanthropic goals and support our nonprofit partners that provide direct healthcare delivery and education in underserved communities. If you would like to learn more about making a difference in the world through a medical mission trip, please visit our trip page for current opportunities or call us at 801.930.3526.